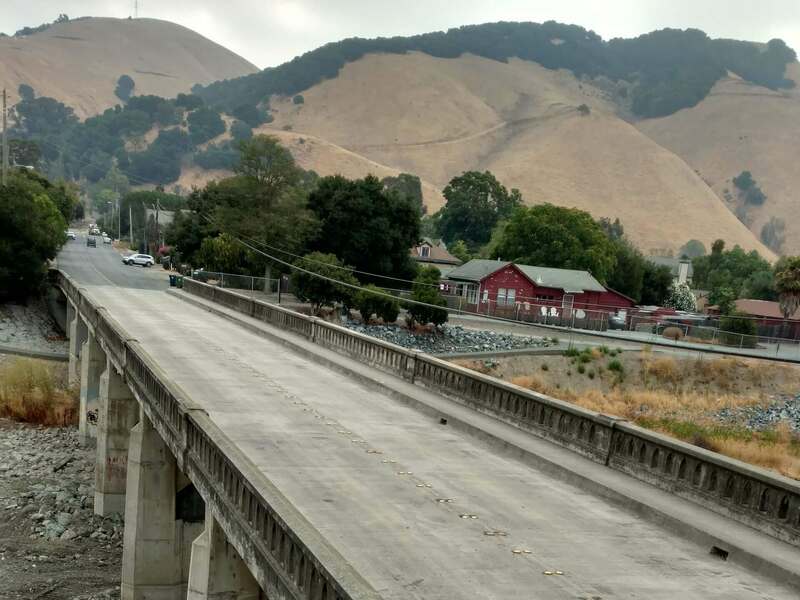 The project was located at the Old Canyon Road Bridge over Alameda Creek on Hwy 84/Niles Canyon Road in the City of Fremont. 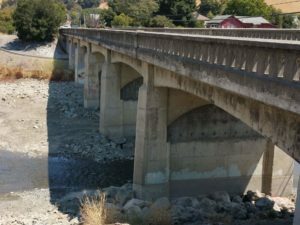 The Project purpose was to reinforce the existing piers supporting the Old Canyon Road Bridge. A scour study conducted by Caltrans in 2010 determined that scour conditions were critical at the bridge. 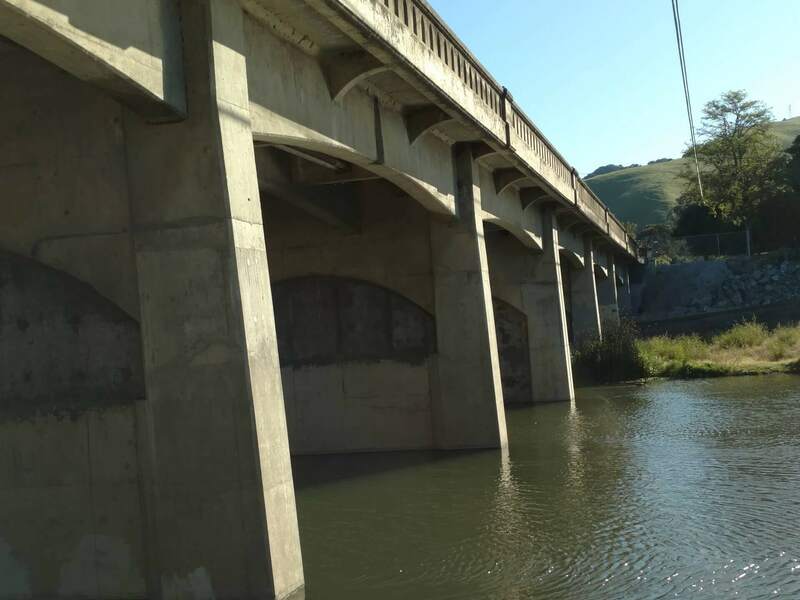 The project was necessary to comply with the requirements to address areas of critical bridge scour to prevent the bridge from becoming unstable. 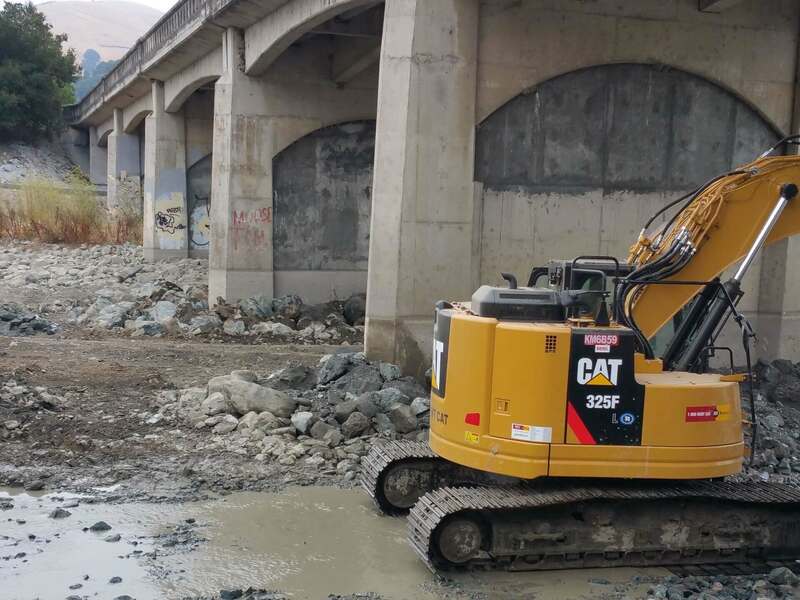 The work consisted of removing the existing grouted rock rip-rap and placing new rock rip-rap surrounding the upstream and downstream face of the piers. 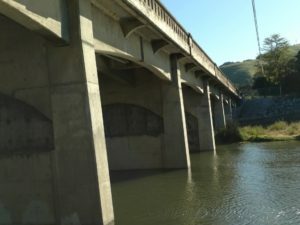 The scour hole that has formed around the piers was filled with more than 1,100 tons of rip rap, which was placed between the piers to form a low flow channel that conformed to upstream and downstream areas. The Project also required the removal of an existing fish passage barrier to allow for future anadromous fish passage. 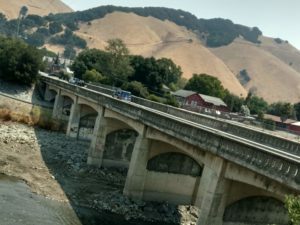 The Project required temporary dewatering of the Alameda Creek. 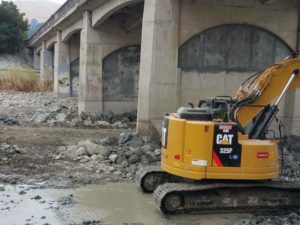 The dewatering was accomplished using a diversion structure consisting of a coffer dam, well points and a large filtration system. 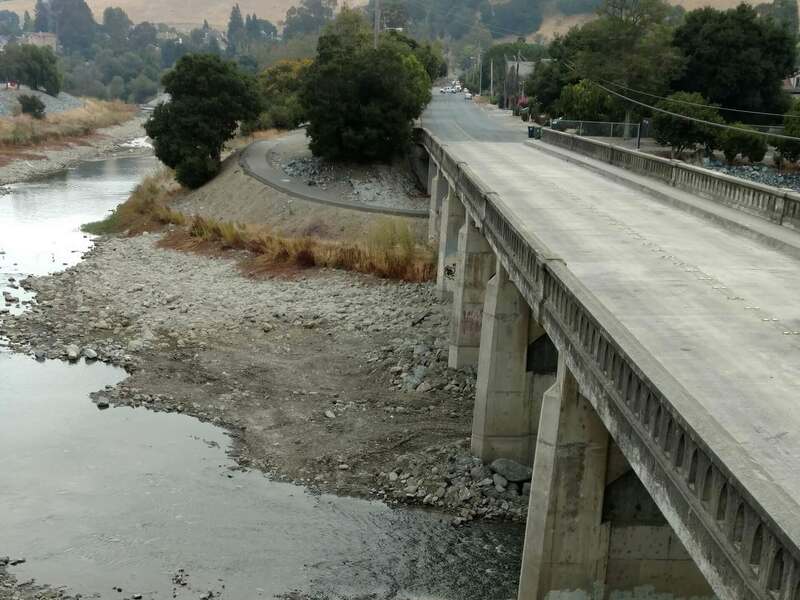 We were able to coordinate with Alameda County Water District to have the downstream dams lowered during construction to minimize the amount of dewatering required and to mitigate the environmental impact.